PNG Prime Minister Peter O’Neill says the Bank of Papua New Guinea introduced a trading ban on the exchange rate because some commercial banks were trading at rates which benefitted them only. O’Neill told a radio (FM100) talk-back show last week that commercial banks at times made money out of foreign exchanges trading at the cost of public lending. BPNG intervened and told them that they could only trade between certain points. Foreign exchanges dealers had been saying that the effective revolution and imposition of the trading ban (in June last year) appeared to exacerbate the forex liquidity shortage that had been chronic since the end of construction stage of the PNG LNG project. 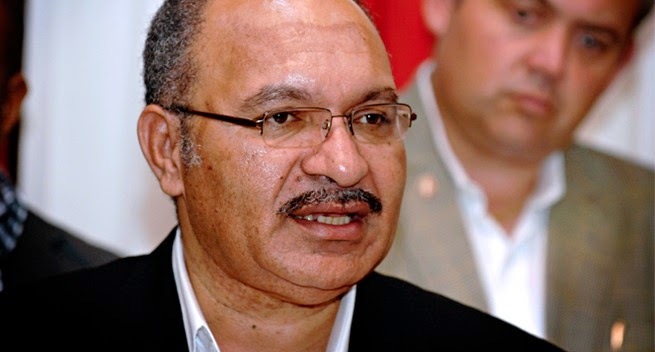 O’Neill said BPNG and Treasury were negotiating with “our traditional partners” at the International Finance Corporation, Asian Development Bank and Exim banks about concessional support to generate foreign currency by way of funding projects through these institution’ lending. He said one of the traditional partners made US$500 million (K1554 million) available for the Highlands Highway. “OK Tedi has done 10 shipments already. They brought in about US$60 million (K187 million),” O’Neill said. He said funds coming in from the export of the LNG were small compared to previous years due to the depressed oil and gas prices. “We used to get K1.1 billion (approx US$342 million) a year before. Now we have this year estimated to have around K260 million (US$80.8 million),” he said.